A new spot to score coffee and tea has opened its doors in the neighborhood. The fresh addition to Hell's Kitchen, called UT47, is located at 358 W. 47th St. (between 9th Ave & 8th Ave). This newcomer--located in the former Ninth 47 Express Cleaners space--softly opened on January 17th, and specializes in gourmet-style coffee drinks and teas. Currently, there are no food offerings, but expect that to change as things progress. There's plenty of room for lounging, as well as free WiFi for getting some work done. UT47 has already attracted fans thus far, with a five-star rating out of two reviews on Yelp. 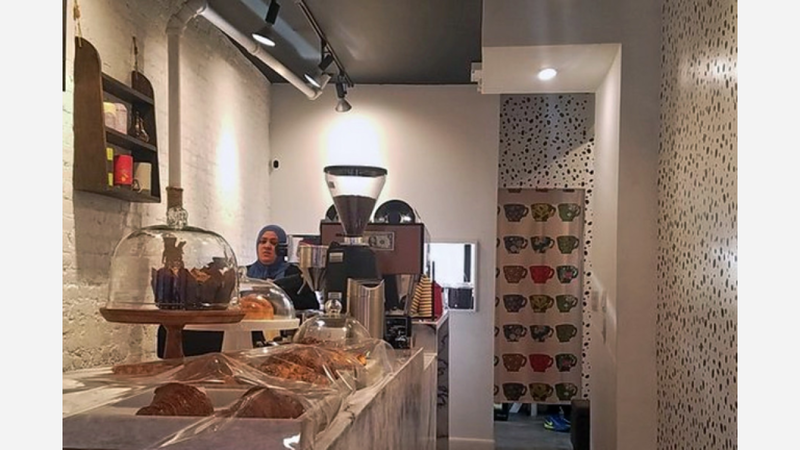 Ricky M., who was among the first Yelpers to review the new spot on January 19th, said: "A friendly new cafe with good coffee and espresso, plenty of seating, and a bathroom. The owner said that they plan to serve lunch and dinner in the near future, too." Yelper Daphne H. added: "I love special coffee, as I am very picky with my food and drinks. Cold brew coffee in a beautiful artistic decor is close to heaven for me. Friendly and warm service, too." Head on over to check it out: UT47 is open weekdays from 7am-11pm, Saturday from 8am-11pm, and Sunday from 8am-10pm.